TIEMPO SECURE develops certified secure dual-interface microcontroller chips for banking and e-gov applications allowing faster transaction time, robustness in contactless mode, and higher security. TIEMPO SECURE markets CC EAL5+ and EMVCo-certified secure microcontrollers to address critical applications requiring faster transaction time, robustness in contactless mode, and higher security. 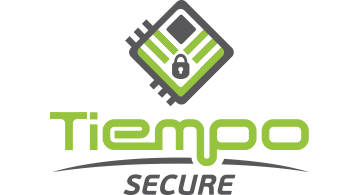 TIEMPO SECURE develops chips for secured contactless transactions that are based on its innovative patented secured clockless hardware platform TESIC, a silicon-proven and certification–ready IP platform including proprietary clockless microcontroller and crypto-processor cores. TIEMPO SECURE currently markets its new product family TESIC-SC, a set of flash-based dual-interface secure chips for banking and e-gov applications, and is working on innovative solutions for secure IoT devices.